4 Ways To Make It A Successful School Year! Once again, summer has flown by and the start of school is upon us! That means schedules and routines are changing, and children have new and exciting things on the horizon as they meet their teachers and get to know new friends at school. With all of the changes that happen this time of year, there are some simple things you can do to make the transition a bit easier. Here are some tips to help you have a successful school year! 1. Prepare the night before. One of the best habits to ensure a smooth morning is to plan and prepare the night before. This includes packing lunches, choosing outfits, checking that homework is complete, and packing up the backpack. Get lunches ready. There are some healthy and interesting recipes on our Pinterest board for School Lunch Ideas. The beginning of the school year is also a great time to start a new tradition! Grab a marker and write a quick note on your child’s napkin, if you’re making their lunch for them. Label everything. From lunch bags, reusable containers, backpacks, and school supplies, labeling items will help you keep track of things that need to return home. With four children, including twins, labeling has helped our family keep things straight, and also helps our children keep track of their own supplies. Pack up the backpack. When homework is complete in the afternoon or evening, give it a quick check, make sure papers are signed, and have children pack up their supplies and books for the next day. This will save scrambling in the morning, and ensure that assignments and supplies aren’t left behind. 2. Create a daily schedule to follow. 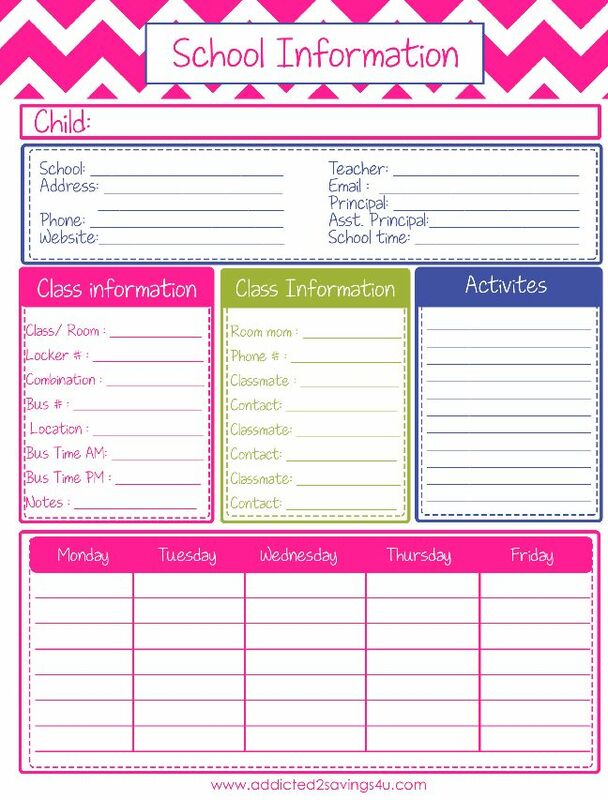 A simple checklist can be a very useful tool in teaching valuable lessons in organization and responsibility. I’ve been making lists for my children for years! If you have a nanny, make sure to communicate the routine and expectations so that the schedule is consistently followed before kids go to school in the morning and before you return home at the end of the day. I hope that these tips will help you organize and get the 2015 school year off to a great start!